WIFI on a camera works pretty much the same as any other WIFI-compatible device. A WIFI camera has an integrated WIFI card that allows it to speak with a wireless router. The router then lets the camera connect to the internet so that it can be viewed online through an interactive service. An IP camera connects to the network through either a hardwired ethernet connection or a wireless WIFI connection. Either way, the principle is the same - the camera communicates with a router. The router then allows whatever is connected with it, including the camera, to connect with the internet. This way, the camera can be viewed from anywhere, as long as the user can connect to a network. The user will just need to login to their interactive service account. 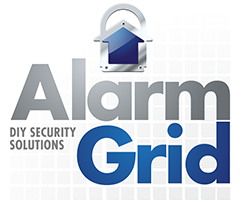 Two common interactive services to use with security cameras are Total Connect 2.0 and Alarm.com. The IP camera must be designed to work with the interactive service platform that the user intends to use. So if a user is using Total Connect 2.0, the IP camera must be designed for use with TC2. Additionally, many security systems will not allow the feed from an IP camera to be viewed from the panel itself. Instead, it is generally expected that the user will view the live feed from the interactive service through an app on a smart device, or from a webpage. Of course, security cameras are designed to be very secure. They cannot be freely accessed and viewed by anyone. That is why they are registered and activated by alarm monitoring companies. Older cameras required the user to provide the camera's MAC address to the alarm monitoring company. However, newer cameras can be self-activated by the end user. The monitoring company will then push the activation through so that the cameras are associated with the user's interactive service account. Once a camera has been activated and registered, its feed can be seen through the user's interactive service platform. This can be done through a web browser or through a mobile app for the interactive service. Any recent recordings that are produced by the camera will be available for view on the interactive service platform. An end user can save these recordings for permanent use if needed.